The open-plan isn’t the only way to arrange our shared spaces at home. A layout called the broken plan allows you to subtly separate areas within a communal space. This design packs a lot of style and brings everyone in the room together. Check out the featured sunken areas and spaces below! 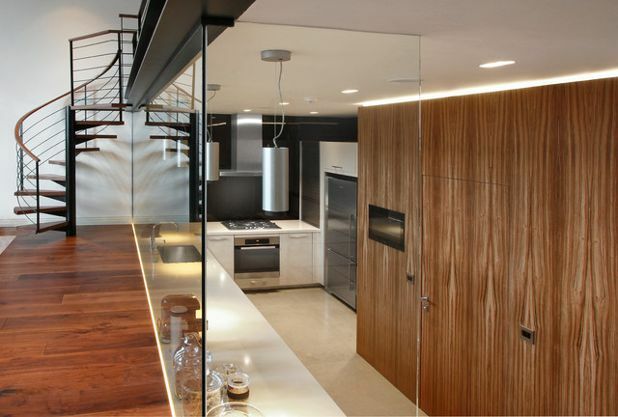 This kitchen and dining area sits between the living area and other rooms of the house. 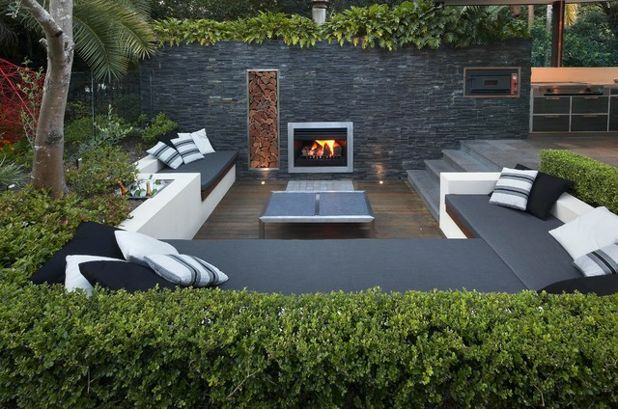 Sinking this area maximised the space and heightened indoor-outdoor flow. As you can see, two offset rectangles bound this area and connect it to the garden and the rest of the house. Low stairs lead you in and out of the pit. Down there, the peninsula kitchen is strictly for cooking while the dining nook is for socializing. 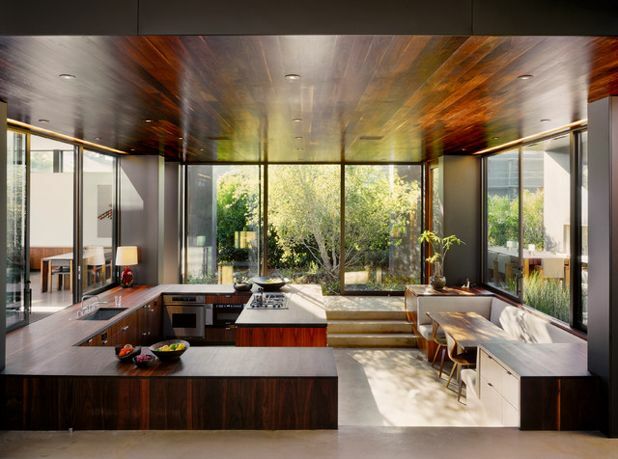 Sinking the kitchen and dining area also allowed the use of bigger windows that open to the garden and the pool. Apartment living maybe confined but it’s not always boring. 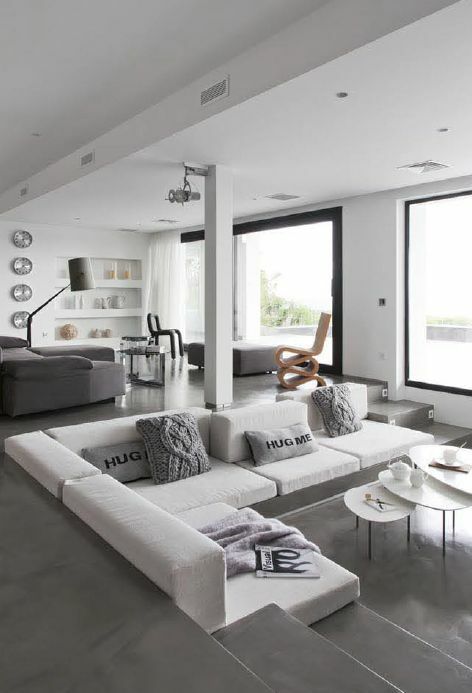 With a little creativity, one can build a stylish pad that suits your needs. Take this loft apartment for example. 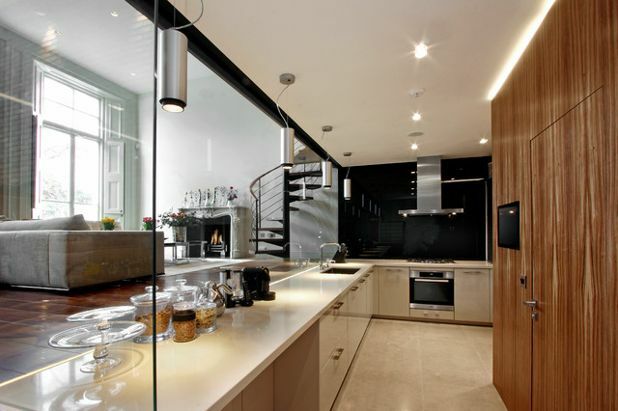 The designers created a sunken kitchen on the ground floor and left the mezzanine for the living area. The floor of the living area is at the same level as the countertops. Glass panels separate the two areas and keep the dirt on one side from entering the other. Superdraft tip: Split-level dwellings always have multiple ceiling heights. Make sure that all areas, including doors, are in standard height. You don’t want to awkwardly bow your head when staying or passing through some areas. Sinking a living room similar to this house has numerous benefits to offer. It separates the lounge from the dining and kitchen without putting up walls. The pit also makes the living room more inviting and comfortable. This design creates a wide bench seating that runs around the room. You can sit here while doing yoga, reading a book, or drinking a cup of coffee in the morning. For extra cosiness, lay a softer underfoot on the sunken areas. 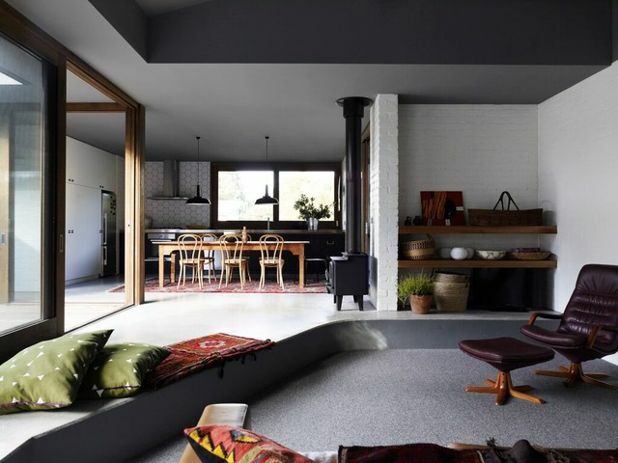 The living room of this home has been carpeted while the other areas retain its polished concrete underfoot. 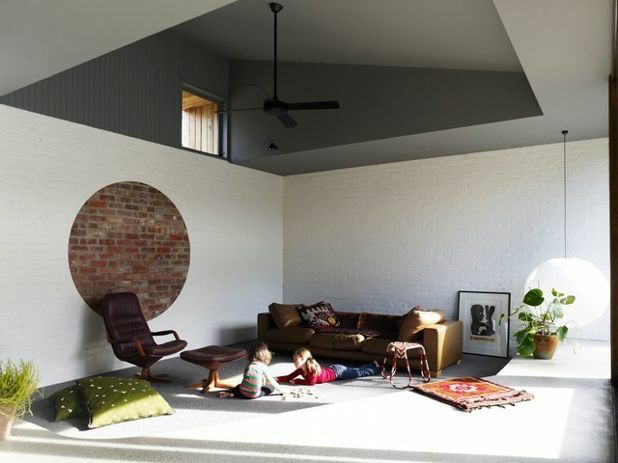 Before the open-plan living trend began in the 1980s, conversation pits are hip. The designers of this home brought back this feature of the past and gave it a modern appeal. They went for the minimalist approach, followed a neutral colour palette, and used comfy cushions for the conversation pit. Sinking the second lounge separates it from the main living area. Using contrasting colours for the couch is also a smart way to keep a distinction between the two. Sinking your outdoor area below floor level creates a bench seating for a bunch of people. Install LED strip lights under each seat to accentuate the area. The glowing lights also help keep this area safe at night. Sinking an area helps define spaces within a larger space. 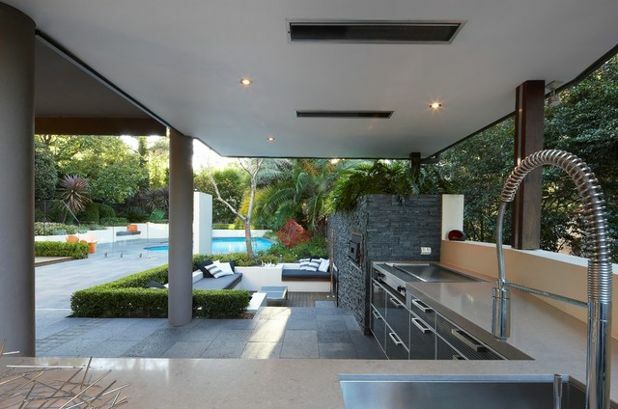 Notice how the lowered lounge established the boundaries of the outdoor kitchen and the pool. The sunken lounge was built inside retaining walls. Cushioned seat made from hardwood surround a wooden fireplace. This place is ready for any party all year round. Tired of the open-plan interiors? Perhaps it’s time to switch and spice things up! 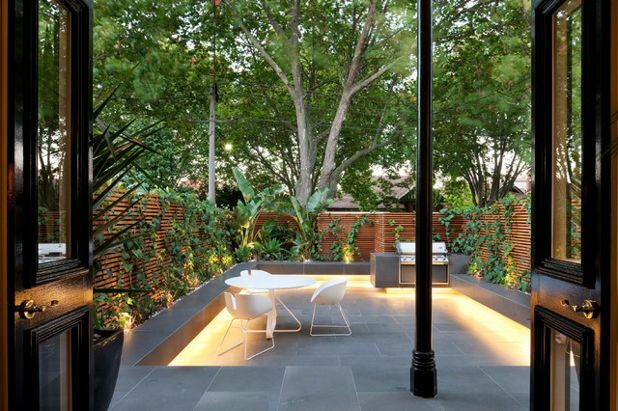 Sunken spaces are applicable to your indoor and outdoor spaces. Build one and have more happy memories and meaningful conversations in there. Hire a design expert to design your space.